This scene belongs to the street, however, I have never made any works there – I find it a bit degrading? Though, it is about dashing on the street without observing anything around us. 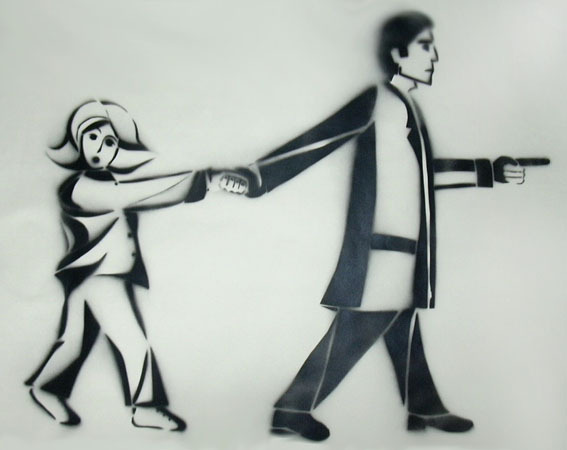 One figure of the stencil is also running, but the other one would like to stop to have a look of the running people.